Here is a survey enabling you to give your views on waste and recycling services. You can also comment on what you would like to see in terms of future services. It only takes a few minutes to complete. This survey is open until 12 October. It’s national Recycling Week 2016 and we’re using this as an opportunity to launch a recycling and food waste survey across the district. 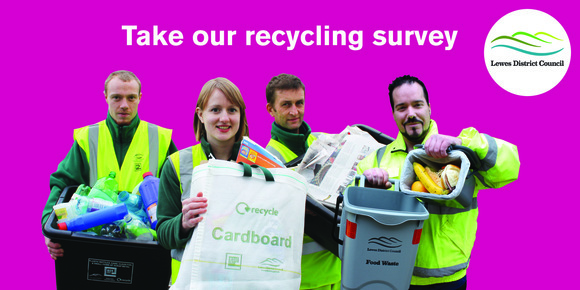 The survey takes just a couple of minutes and you’ll be helping us improve our recycling services. You will also be entered into a draw with prizes of £50 vouchers. The survey has already proved popular so make sure you don’t miss out on this chance to have your say! The survey will be open until Wednesday 12 October.